Parasites are a digestive concern that impacts one in six humans. The magnitude of parasites makes prevention of them essential. 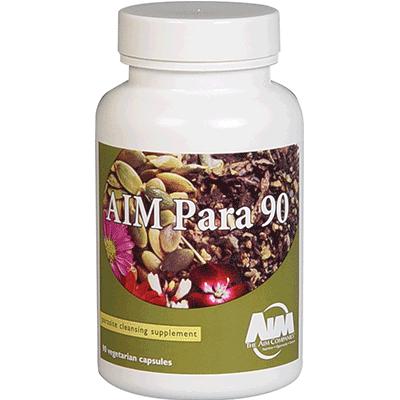 AIM Para 90® is an herbal cleansing dietary supplement with anti-parasitic properties. It combines cleansing herbs with bromelain, a digestive enzyme. If you travel, spend time with animals, eat undercooked foods or foods from doubtful sources, or are exposed to environments where sanitary conditions may be questionable, you may find Para 90 helpful. It can help you cleanse the digestive tract and maintain a parasite-free system.